Great investment opportunity at the one of the most popular Disney short-term rental vacation homes - Windsor Westside! Owner has had excellent booking results and 5-Star reviews for the property on major vacation home rental websites. This gorgeous 6 bedroom and 4.5 bath turnkey vacation pool home is fully furnished with many upgrades and all high end furniture is included in the sale! Beautiful granite counter tops in the kitchen and dining room area, custom themed rooms and interior paint, beautiful screened pool area with paver deck, covered lanai. All appliances are energy efficient along with energy efficient (15 seer) air conditioning units, LOW-E duel pane windows and much more. The home also includes a 10-year Pulte protection plan, this is a Pulte Home insured warranty. Amenities include: 8000 square foot resort style clubhouse, resort style heated pool and spa, wireless internet on the pool deck, lazy river, state of the art fitness center, poolside cabana, on site store, playground, volleyball, tennis, basketball, game room, restaurant, bar, relaxing lounge area with TVs and much more. 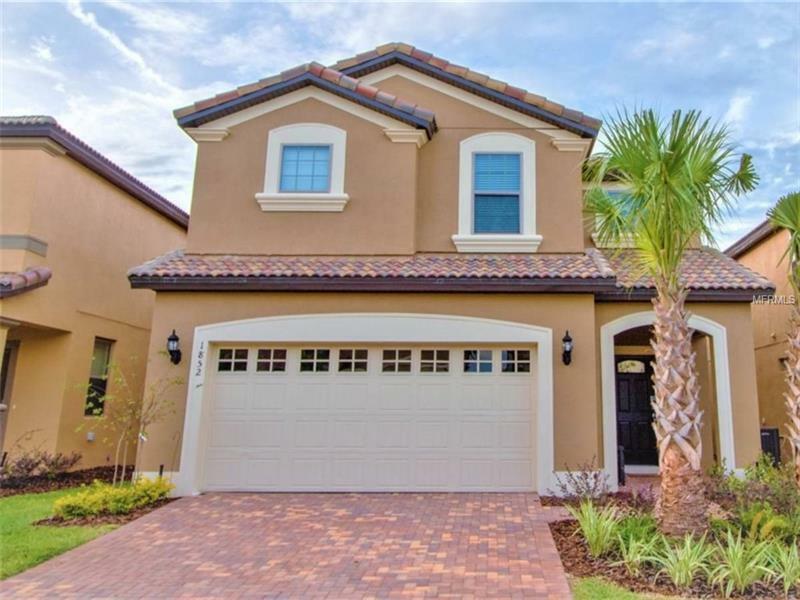 This community is located minutes from Walt Disney World. The property has been generating rental income with more future bookings from April till July! April is booked for 23 days, May for 22 days, July for 29 days! Existing booking orders are available upon request. If you are interested in generating passive rental income, this home is for you! Copyright © 2019 Mid Florida MLS. All rights reserved. The data relating to real estate for sale on this web site comes in part from the Internet Data Exchange Program of Mid Florida MLS. Information provided is for consumer's personal, non-commercial use and may not be used for any purpose other than to identify prospective properties consumers may be interested in purchasing. JC Penny Realty participates in the MFRMLS Internet Data Exchange (IDX) program, allowing display of other MFRMLS broker's listings on this site. However may not include all listings currently available. Information is deemed reliable but not guaranteed. Information last updated at 2019-04-23 22:07:39.